The Steering Group is the body responsible for the overall performance of C4CE in fulfilling its Charter. A Secretariat provides executive support for the Steering Group as well as day-to-day coordination and administration of C4CE Strategic Initiatives. The Steering Group comprises up to nine Member Representatives plus one Secretariat Representative (who does not have voting rights). The Membership is responsible for the appointment of the Steering Group and for holding them accountable. Taryn has extensive local and international community development experience and a BA in International Studies and a MA in Sustainability and Social Change. She has worked for Australia’s first community-owned wind farm Hepburn Wind since 2010, delivering industry best standards in community engagement. Since 2012, Taryn has also been the communications and community liaison for Embark Australia, a not-for-profit set up to kickstart the community energy sector. Over the past decade, Taryn has worked in East Timor, Guatemala, Mexico and Australia, with NFPs, co-operatives and educational institutions. 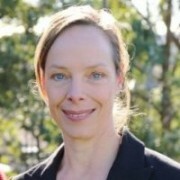 She is a fellow of the Centre for Sustainability Leadership’s Future Sustainability Leaders course as well as being a founding director of the Australian Wind Alliance. 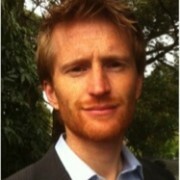 Ed is a Research Principal at the Institute for Sustainable Futures, UTS. He is an environmental scientist specialising in the economics, planning and policy associated with developing and delivering energy savings and distributed clean energy generation. His research on the interface between electricity grid management and consumer pursuit of local energy options has led him to close involvement in the community energy sector including the National Community Energy Strategy, Virtual Net Metering and the SSROC Renewable Energy Master Plan. Ed’s career includes time with the Sustainable Energy Development Authority of NSW’s (SEDA) solar program and advising Pacific government agencies on energy efficiency policy and renewable energy development. Ed is a member of Sydney’s Pingala community renewable energy group. Christina is a registered organisational psychologist and is a consultant in the field of Organisational Change and Social Innovation. 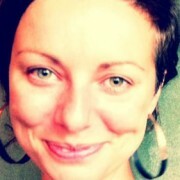 Christina holds a PhD in organisational and cross-cultural psychology from the University of Potsdam. She is the co- founder and director of the not-for-profit community renewable energy company ClearSky Solar Investments, which is operating various clean energy projects around Australia. Christina is currently involved in projects for major organisations, academic institutions and NGOs to develop collective impact assessments and shared measurement platforms. 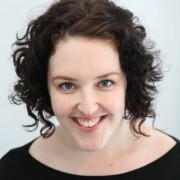 Christina is a member of the Australian Institute of Company Directors, the Australian Psychological Society, the College of Organisational Psychology and the Change Management Institute. 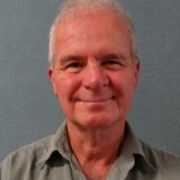 Paul Cruickshank is an environmental lawyer working with NSW Office of Environment and Heritage in community engagement. Paul has worked as CEO and Public Affairs manager for organisations as diverse as Greening Australia, Leightons and OTC, and recently (as Manager of Lismore Neighbourhood Centre) developed the nation’s first multi-million dollar regional no interest loans scheme. Eve is a Surf Coast Shire Greens Councillor who has been working with Surf Coast Energy Group to establish the region’s first community energy project. In 2012 Eve won the Municipal Association of Victoria Fellowship which enabled her to spend three months in Germany, Denmark and the United States researching the community energy sector, specifically the areas of legislation and regulation. Her focus has since been on helping SCEG find the model most suitable for their region. Eve is relatively new to the community energy space but she brings 20 years experience as a print journalist, including the past five with Fairfax Media. She is a also a high school English teacher and university journalism lecturer. Damien is the ATA’s Policy & Research Manager. 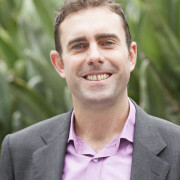 Damien leads ATA’s policy analysis and advocacy work, engaging with government at all levels, industry and the consumer sector, in the areas of energy efficiency and demand management, renewable energy and carbon markets, water conservation and sustainable transport. Damien oversees the management of ATA’s portfolio of research and consulting projects, which includes detailed analysis, modelling and advice on renewable energy and energy efficiency projects, with a specific focus on costs, benefits and related considerations from the consumer and community perspective, and for a range of clients and applications. Damien holds a bachelor’s degree in Urban and Regional Planning, a Masters in Environmental Management and a Certificate in Finance. Damien has worked for all levels of government, in Australia and in the UK, as well as for the private sector. 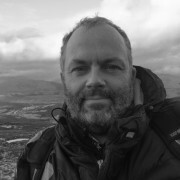 Gareth Johnston is a company director with over 20 years experience of private, public and not for profit organisations. Post graduate qualified in Applied Science, Sustainability and Resilience, he has worked with a diverse range of clients including transnational, sovereign, governments and community to develop renewable energy technology, improve sustainability and develop resilience. He has led a number of projects with local, State, COAG and Commonwealth partners on clean energy and climate adaptation. Gareth currently leads the National Energy Efficiency Network, an interfaith and community energy project based in the Catholic Church with over 1,000 organisational members. Focused on energy autonomy, he has expertise in technology, business models and community enablement and when not working is developing an off grid small farm. has worked with and visited over 40 community energy projects across Australia and Europe. 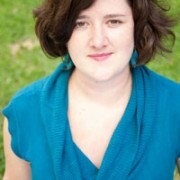 Nicky is the founder of the new Coalition for Community Energy, she also helped found and currently convenes the board of the Solar Citizens Community Campaign and works as a Senior Research Consultant at the Institute for Sustainable Futures (ISF) at the University of Technology, Sydney. While at ISF, Nicky has developed a detailed understanding of the National Electricity Market. Nicky holds a double degree in Environmental Engineering (Hons 1) and Arts (Environmental Studies) and has spent more than a decade working and volunteering in the community climate sector. In 2014, Nicky was recognised on the Australian Financial Review’s 100 Women of Influence List.